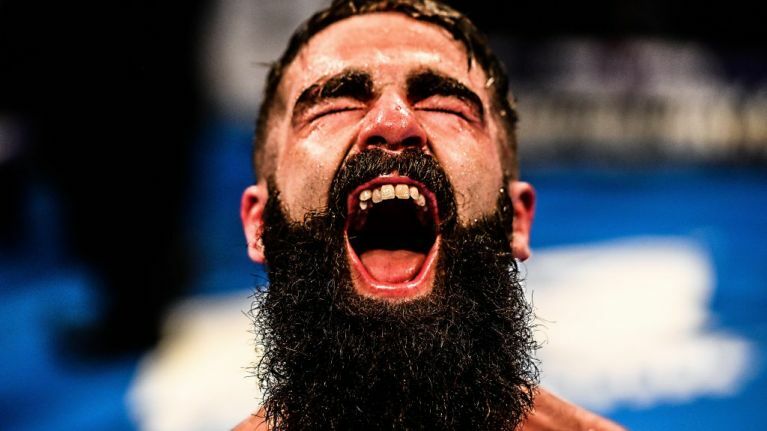 Jono Carroll's first shot at a world title has been confirmed for St. Patrick's weekend in Philadelphia. Carroll will challenge Tevin Farmer for his IBF World Super-Featherweight title at the Liacouras Centre on March 15 and the Irishman has vowed to stop his opponent when they meet on the same card as Katie Taylor's unification clash with Rose Volante. The Finglas-born fighter, who was raised in Dunshaughlin, might have worried that he'd be passed over for a title shot after fighting to a draw with Guillaume Frenois in his most recent fight last month but promoter Eddie Hearn has stayed true to his promise and got the deal over the line. Farmer will be defending his title for the third time, having knocked out Belfast's James Tennyson last October before earning a unanimous decision against Francisco Fonseca two months later. What dreams are made off. 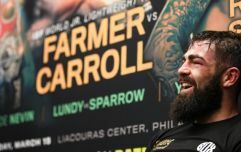 Farmer, who is fighting as a world champion in his home state for the first time, has gone back-and-forth with Carroll on social media on several occasions in recent months as the pair ramped up interest in the clash. The undefeated Irishman is confident ahead of his biggest fight to date and doesn't expect to require the judges when he shares the ring with Farmer. "I'll do what I want with Tevin," Carroll said, via ESPN. "He's a tiny little child, and I'm not afraid of him. When we meet, if he's respectful of me, I'll be respectful back, as that's how I've been brought up. But if [he] comes talking rubbish then I'll put him in his place. I see a fakeness in him when I see him interviewed. I see a fake person. My thoughts on him are that he wants to be liked, but he's not. I reckon he's arrogant. That's the man I think he is, and I know he's that sort of flashy person saying stupid things on Twitter. "Tevin is a man that wants to be liked, but he plays like he's Floyd Mayweather, but he's not half as good as him. He has serious holes in his armor, and I am going to poke every single one of them, I'll break him up and stop him. He's never met a man like me in his life."